The color of Cherry varies from rich red to reddish brown. The color further darkens with exposure to light. In contrast the sapwood is creamy white. 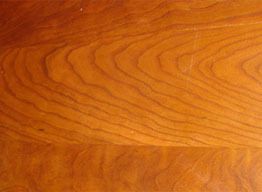 Cherry has uniform straight grain, smooth texture, and occasionally contains brown pith flecks and small gum pockets. Cherry has a medium density with great wood bending properties. 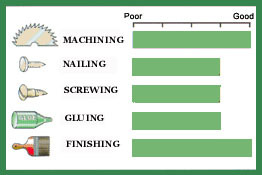 Cherry has low stiffness, medium strength, and shock resistance. High end joinery, moldings, furniture and cabinets, kitchen cabinets, paneling, flooring, doors, boat interiors, carving, musical instruments, and turning. Cherry machines, nails and glues well. Cherry produces an excellent smooth finish when sanded, polished or stained. 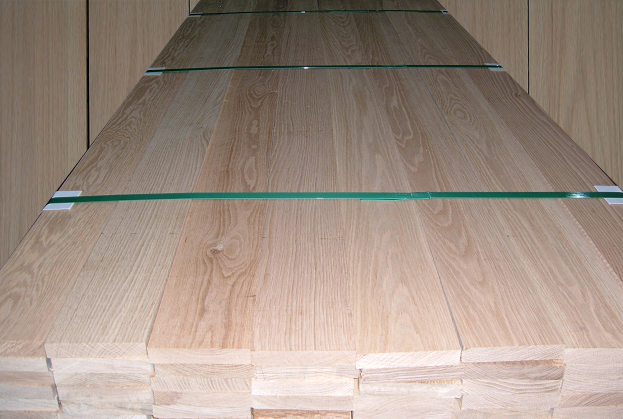 Cherry dries with little degrade and has great dimensional stability after drying. However, it has moderately large shrinkage when Cherry is dry.